A dairy extension specialist from Bhutan will spend two months working in West Gippsland, on a scholarship from the Crawford Fund. 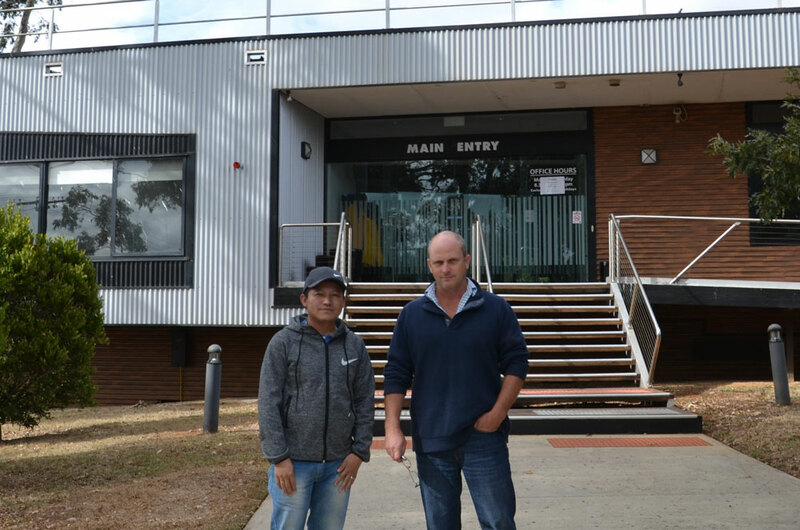 Mr Nima Norbu will work alongside Agriculture Victoria researchers at the Ellinbank research facility on a range of research projects in March and April. Mr Norbu said the opportunity allowed him to gain exposure on an international level and gain practical hands-on training, while also improving his English. “I’m hopeful that the knowledge and experience gained during this visit will equip me with the skills to further my career in dairy extension and research,” he said. Senior Research Scientist, Dr Martin Auldist said Agriculture Victoria researchers were looking forward to hosting Mr Norbu. “He will assist with our heat tolerance research, as well as work with the team on some pasture intake experiments. “This is a prestigious scholarship and is an excellent opportunity to share dairy research at Ellinbank internationally,” Dr Auldist said. The Crawford Fund, chaired by former Deputy Prime Minister The Hon John Anderson AO, is a non-profit, non-government organisation that works to raise awareness of the benefits to Australia and developing countries from international agricultural research and arranges specialist training activities for developing country scientists. The fund also commissions studies on research policy and practice, and arranges specialist training activities for developing country scientists. For more information on The Crawford Fund, go to crawfordfund.org. For further information on Agriculture Victoria research go to http://agriculture.vic.gov.au/agriculture/innovation-and-research.